These pages contain photos from the Champ Car races I attended from 1993 to 1996. 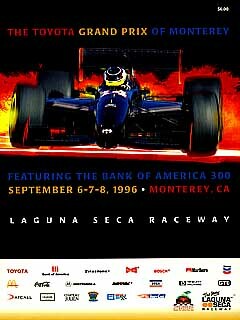 The 1996 Toyota Grand Prix of Monterey featuring the Bank of America 300 at Laguna Seca Raceway, September 6-8. 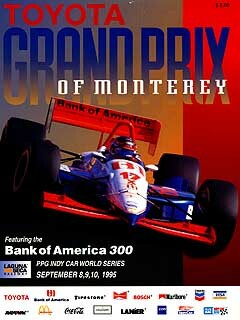 The 1995 Toyota Grand Prix of Monterey featuring the Bank of America 300 at Laguna Seca Raceway, September 8-10. 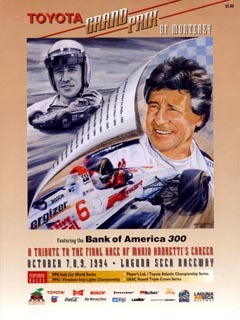 The 1994 Toyota Grand Prix of Monterey featuring the Bank of America 300 at Laguna Seca Raceway, October 7-9. 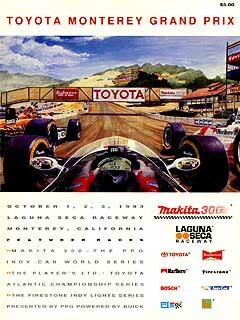 The 1993 Toyota Monterey Grand Prix featuring the Makita 300 at Laguna Seca Raceway, October 1-3. © 1993-1999 Paul Jasper. Last updated Friday May 06, 2005.